Explore the rich field of scientific ayahuasca research with thought leaders Gabor Maté, M.D., José Carlos Bouso, Ph.D., Draulio de Araujo, Ph.D., Clancy Cavnar, PsyD, and Beatriz Labate, Ph.D. This workshop will feature participatory experience exercises and conversations about the pharmacological, psychological, physical, spiritual and cultural aspects of ayahuasca. Workshop attendees will learn guidelines and develop tools for understanding ceremony structure and importance, the interactions between ayahuasca and the human mind, brain and behavior, and how common conceptions may influence the drinker's experience. Workshop leaders will also discuss the physical, psychological, ontological, and spiritual risks and benefits of ayahuasca use in both new and traditional contexts including healing properties, preparation diets, set and setting, and after-effects as well as contextualize the legal situation of ayahuasca today. In the Western context, participants often lack the capacity to fully appreciate, or even understand, the essence of their plant journey. This workshop will be a participatory, experiential exercise in pre-ceremony intention setting, instruction for ceremony, post-ceremony processing and interpretation of the plant experience, and in pointing towards post-ceremony integration. Gabor will be demonstrating, sharing, and teaching his pioneering approach that brings a Western psychotherapeutic perspective to supporting deep shamanic plant work. 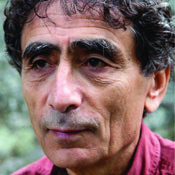 Gabor Maté, M.D., has worked in family practice, palliative care, and addictions medicine. He has extensive experience and interest in addictions, mind/body health, child development and trauma. The author of four bestselling books published in twenty languages on five continents, he now travels extensively to present lectures and workshops internationally. He has been facilitating retreats with ayahuasca for eight years, helping to pioneer a combination of traditional shamanic work, Western psychotherapy and group work to deepen people’s integration of their plant experience. He has also had experience with other entheogens and psychedelic modalities. www.drgabormate.com. In this conversation, we hope to explore parts of the scientific knowledge related to the question of “what is ayahuasca?” We will begin by looking at the pharmacological compounds of ayahuasca and how we understand their interactions with the human mind, brain, and behavior. Giving an overview of past and ongoing scientific research with ayahuasca, we further hope to take a comprehensive view of the main questions, challenges, and dilemmas in the field of psychedelic science. Draulio Barros de Araujo is a professor of neuroimaging at the Brain Institute (UFRN), Natal, Brazil. 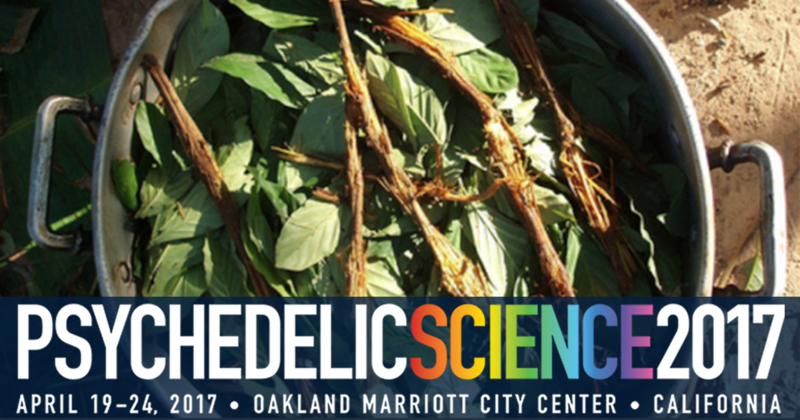 In recent years, his research has focused on using functional neuroimaging methods (EEG and fMRI) to investigate the acute and lasting effects of ayahuasca. His research group has also been studying the antidepressant potential of ayahuasca. This workshop will consist of a group discussion regarding the physical, psychological, ontological, and spiritual risks and benefits of ayahuasca use, as well as the potential risks associated in taking ayahuasca with individuals who are not qualified or prepared to conduct ceremonies. It will start by addressing different, but interconnected, issues related to general, but little-known, aspects of ayahuasca history, as well as certain practical implications. The cultural and natural history of ayahuasca, its origins, and its spectacular colonization of the planet in less than one century will be addressed. Who were the missionaries and explorers who saw ayahuasca ceremonies for the first time? Which cultures used ayahuasca in the past, and why? Next, a brief overview of the science of ayahuasca will be offered, followed by a discussion with an emphasis on the methodology employed in scientific ayahuasca research. Is it possible that the science of ayahuasca is just the construction of another new myth regarding it? Also, I will provide a brief contextualization of the legal situation of ayahuasca, and offer some practical examples of ayahuasca in the courtroom, such as cases of ayahuasca leaders accused of drug smuggling and possibly being sentenced to many years in jail, or cases of people who went to court because they received ayahuasca via mail. Finally, we will discuss the new contexts of ayahuasca use that have generated new risks for people who participate in the rituals. 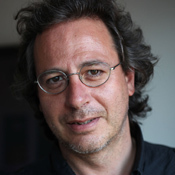 José Carlos Bouso, Ph.D., is a psychologist and has a PhD in pharmacology. His areas of interest are psychopharmacology and the therapeutic properties of entactogens, psychedelics, and cannabis. He developed the first authorized clinical trial to study the therapeutic effects of MDMA (“ecstasy”) in the treatment of post-traumatic stress disorder in female victims of sexual assault. 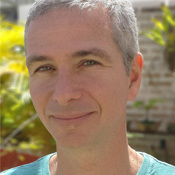 He has done neuroimaging and neuropsychiatric studies with long-term users of substances such as cannabis, cocaine, and ayahuasca, as well as studies of the acute effects of different natural and synthetic drugs. He participated in the regulation process of cannabis in Uruguay, giving educational and scientific conferences in different contexts and institutions there. He is the co-author of the book: Marihuana como medicina? Usos médicos y terapéuticos del cannabis y los cannabinoids [Marijuana as medicine? Medical and therapeutic uses of cannabis and cannabinoids]. He wrote the book Qué son las drogas de sínteis [What are synthetic drugs]. He was the editor of the books: Cannabis, LSD and Psilocybes, and co-editor, with B. C. Labate, of the book Ayahuasca y salud [Ayahuasca and health]. He has published in journals such as Psychopharmacology, Journal of Psychopharmacology, PLOS ONE, and European Neuropsychopharmacology. Currently, he is Director of Scientific Projects at the ICEERS Foundation, where he conducts studies on the therapeutic effects of ayahuasca, the medical properties of cannabis, and the potential anti-addictive benefits of ibogaine. This presentation will explore the psychological aspects of the ayahuasca experience, and discuss some common conceptions and their possible influence on the drinker’s experience. Ayahuasca’s harms and benefits will be examined, including its ability to relieve depression and its use in treating addictions, and its effect on identity, as well as the conditions leading to the possibility of the experience instigating a psychotic break. Preparation and diets will be considered and there will be discussion of popular myths around the use of the brew, including contraindications and diets. Variations in the experience and its effects as a result of set and setting will also be described. This presentation will also discuss common after-effects and the integration process. 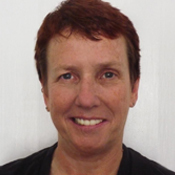 Clancy Cavnar, Psy.D., has a doctorate in clinical psychology (Psy.D.) from John F. Kennedy University. She currently works at a dual-diagnosis residential drug treatment center in San Francisco and is a research associate of the Nucleus for Interdisciplinary Studies of Psychoactives (NEIP). She combines an eclectic array of interests and activities as clinical psychologist, artist, and researcher. She has a master of fine arts in painting from the San Francisco Art Institute and a master’s in counseling from San Francisco State University. 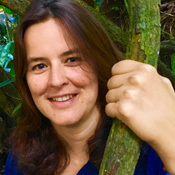 She is author and co-author of articles in several peer-reviewed journals and co-editor, with Beatriz Caiuby Labate, of six books, among them, Ayahuasca Shamanism in the Amazon and Beyond (Oxford University Press, 2014). For more information see: http://www.neip.info/index.php/content/view/1438.html.